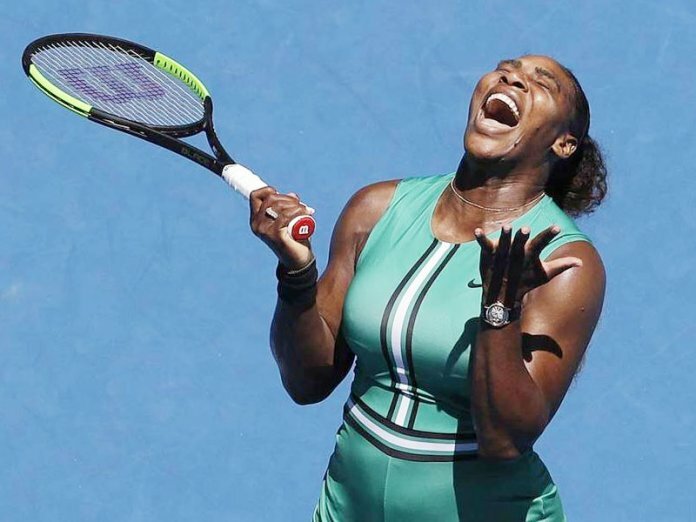 Serena Williams has returned to the top 10 in the tennis rankings for the first time since taking a break to have her first child. Williams dropped as low as 491st upon her return to competition in March 2018 but is up to No 10 after reaching two Grand Slam finals since. The 37-year-old lost to Angelique Kerber at Wimbledon and Naomi Osaka at the US Open. Williams hasn’t played since her quarter-final loss to Karolina Pliskova at last month’s Australian Open, but she still overtook Caroline Wozniacki. The Danish player’s points from reaching last year’s Doha semi-finals expired this week. Osaka, 21, remains at the top of the rankings after winning back-to-back Grand Slams. Yesterday, she lost her first match since becoming world number one as she was beaten 6-3 6-3 by Kristina Mladenovic in the Dubai Tennis Championships. Japan’s Australian Open and US Open champion Osaka was playing for the first time since splitting with coach Sascha Bajin. She lost in 66 minutes against the world number 67 in the second round. Simona Halep is second and Sloane Stephens is third, while Petra Kvitova dropped to fourth.